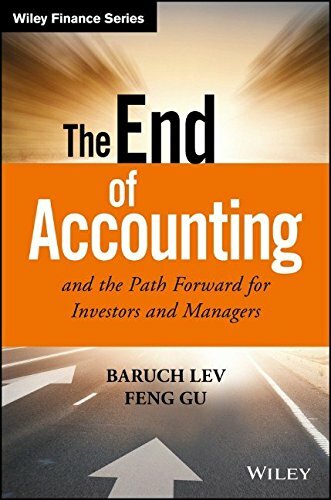 Ed and I were honored to have on Baruch Lev, co-author of The End of Accounting and the Path Forward for Investors and Managers (Wiley Finance) by Baruch Lev and Feng Gu, 2016. The book is divided into four parts, which we asked Professor Lev about. Like a Consumer Reports evaluation, they provide an unsatisfactory report. Based on a comprehensive, large-sample empirical analysis, spanning the past half century, we document a fast and continuous deterioration in the usefulness and relevance of financial information to investors' decisions. The pace of this usefulness deterioration has accelerated in the past two decades. Our analysis indicates that today's financial reports provide a trifling 5-6 percent of the information relevant to, and used by investors. One amusing illustration they use in the book is to compare United States Steel Corporation’s 1902 and 2012 financial statements. The former is 40 pages; the latter is 174 pages. Yet they focus on the same information. Uniformity has lead to less experimentation and innovation as the world moved from an industrial/service economy to a knowledge economy. Another indictment that what the accounting profession is peddling is the Edsel of our day, proforma (non-GAAP) earnings disclosures have doubled from 2003 to 2013, and now are over 40%. As The Economist stated, "The real Enron scandal is that so much of what Enron did conformed with GAAP." How much of stock prices are attributable to earnings and book values? It was roughly 80-90% in the 1950-1960s, the authors say it’s 50% today. Part Two: Why Is the Relevance Lost? 1. The inexplicable treatment of intangible assets—the dominant creators of corporate value. Intellectual capital—such as brand development, human capital, R&D, etc., are all expensed by current accounting standards. 2. Accounting isn’t about facts anymore but more and more about manager’s subjective judgments, estimates, and projections. 3. Unrecorded business events increasingly affect corporate value (competitor moves, regulatory changes, restructurings, alliances, etc.). Just one example, the prevalence of Mark-to-Market rules is a clear case of asking GAAP to do something it is constitutionally incapable of doing—project value into the future, because accounting is not a theory, it’s an identity equation. 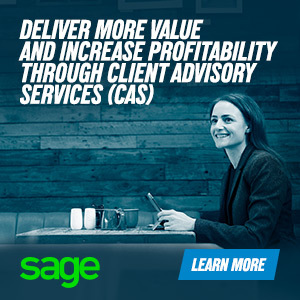 GAAP can only record value once a transaction has taken place. This is why the “goodwill” of a business is booked after is has been sold. It is why our late colleague, Paul O’Byrne, FCA, used to say that goodwill is the name accountants give to their ignorance. Warren Buffett remarked, “This is not marked-to-market, rather marked-to-myth.” As the authors point out, Enron was marking-to-market 30-year gas contracts in which they were the main market-maker. Much of this is due to the Financial Accounting Standard Board’s obsession with the “Balance sheet approach,” adopted in the 1980s, with the prime objective to value assets and liabilities at fair (current) values. These adjustments spill over into the income statement, making it less relevant. If balance sheet is flawed, so is income statement. Part Three: So, What’s to Be Done? There has been initiatives to supplement the traditional financial statement report, such as with Key Performance Indicators, the Value Reporting Revolution, Intellectual Capital reports, the Enhanced Business Reporting Model, Integrated Reporting, and so forth. The focus of this Resources & Consequences Report is on the strategic, value-enhancing resources (assets) of modern enterprises, like patents, brands, technology, natural resources, operating licenses, customers, business platforms available for add-ons, and unique enterprise relationships, rather than on the commoditized plant, machines, or inventory, which are prominently displayed on corporate balance sheets. Our proposed disclosure to investors is primarily based on nonaccounting information, focusing on the enterprise's strategy (business model) and its execution, and highlighting fundamental indicators… more relevant and forward-looking inputs to investment decisions than the traditional accounting information, we grade the ubiquitous corporate financial report information as largely unfit for twenty-first-century investment and lending decisions, identify the major causes for this accounting fade, and provide a remedy for investors. They illustrate this report in four separate industries—media and entertainment, property and casualty insurance, pharmaceutical and biotech, and oil and gas, using real examples from various companies. It’s an innovative and empirical approach, as the authors studied investor calls, earnings disclosures, etc., to learn what educated investors were asking to help them peer into the future potential of companies. This is enlightened way to develop Key Predictive Indicators—that is, theories that can be used to peer into the future, rather than merely looking backwards with data that comprise most Key Performance Indicators. The authors are not fans of more regulation. In fact, they advocate lessening the disclosure rules. They believe their proposals could be voluntarily adopted, perhaps with a “nudge” by industry trade associations and the SEC. What about the retort that some of the information they want to see disclosed would lead to a competitive threat? The authors are sympathetic to this fear, but point out examples where companies have voluntarily disclosed “sensitive” information, such as one Drug company’s disclosure of pipeline info, FDA filings, clinical trial status, marketing info, etc. 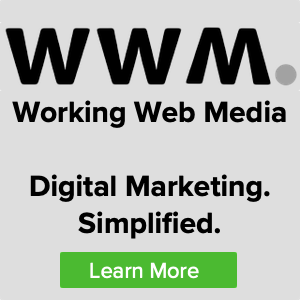 The authors also advocate eliminating quarterly reporting, since frequency and reporting quality are substitutes, making it semiannual, such as in the UK and Australia, among other countries. They would still require quarterly reporting of sales, cost of goods sold, and gross margin. 2. Reverse the proliferation of accounting estimates—such as marking-to-market, leaving Fair Market Value to investors since accountants have no expertise in valuation. Compare the top five to seven key managerial estimates and projections to actual. 3. Mitigate accounting complexity—regulatory complexity now exceeds business complexity. A 15-year FASB revenue recognition project resulted in a 700-page rulebook! It’s futile to have a rule for every scenario. We need more principles and professional judgment, and less rules. The accounting model is suffering from what philosophers call a deteriorating paradigm—the theory gets more and more complex to account for its lack of explanatory power. We are very curious to see the profession’s response to this book going forward. Our guess is, for the most part, it will be ignored, which would be tragic, and a missed opportunity. The number one issue facing the accounting profession is loss of relevance. Does anyone doubt that using financial statements to run—or invest in—a modern-day intellectual capital organization is the equivalent of timing your cookies with your smoke alarm? Thank you, Professor Lev for having the courage to challenge the profession , and offering a better path forward.